As part of the study program, before beginnning formal classes, KCM conducted its orientation and induction program to motivate the newly enrolled students to derive maximum benefit from their studies. ‘Socialization and Climate Setting’ was the first phase of the prientation program which was conducted at Gokarna Forest Resort and Spa from 29th July to 30th July, 2016. This program focused the students to socialize and be familiar with their new batchmates. This phase helped the students understand the significance of KCM culture and set their goals for the next four years.Mr. Bishnu Raj Adhikari, Managing director and Principle of KCM welcomed the students by giving a brief introduction to KCM. 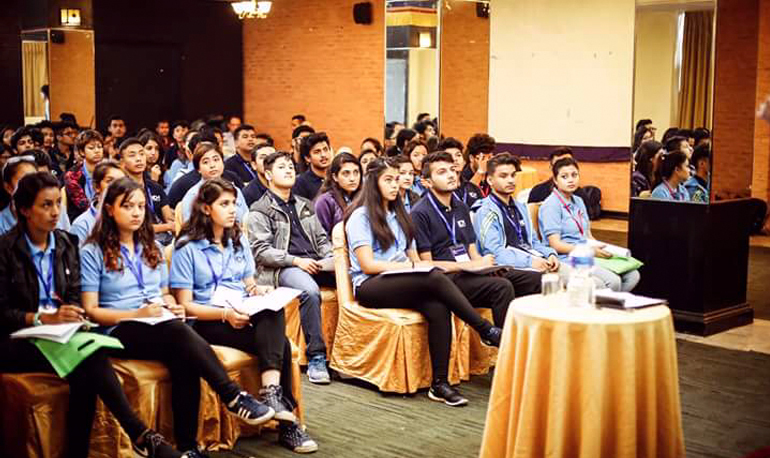 The students were then divided into different teams and made to perform various team building activities followed by reflection sessions throughout the day. The best performing teams were awarded on the very next day making the first phase of orientation very fruitful and worth remembering.